We may finally be into December but there is no letting up in the level of NBA action that people can enjoy. Whether you open an Advent Calendar or not, you can lookm forward to plenty of great games throughout this month, but there was also a great range of games on Sunday. The San Antonio Spurs showed once again that they are not willing to give up their crown without a fight. They defeated the Celtics in Boston by a score of 89-111. Another team that grabbed a tremendous on the road victory was the Golden State Warriors, who were triumphant in Detroit by a score of 93-104. There were plenty of wins on the road on Sunday night, there were only two home triumphs in all of the games, and one of those was a big surprise! The Heat won in New York, defeating the Knicks by a score of 79-86 and the Bulls won in Brooklyn, defeating the Nets by a score of 84-102. The Grizzlies were strong in Sacramento, beating the Kings by a score of 85-97 and the Magic were too powerful in Phoenix, defeating the Suns by a score of 90-93. It was left to the Trail Blazers to bring some honour to the home teams, with a 107-93 win against the Timberwolves but it was in Los Angeles that the shock of the night occurred, with the lowly Lakers grabbing a win against the high flying Raptors. The 129-122 score line was well received by the Los Angeles locals who have not enjoyed too many great basketball occasions so far this season. The Spurs hold a 13-6 record, with a 6-3 away from home record, while the 76ers are languishing on a 0-16 record, with a 0-9 standing at home! Clearly this means that the 76ers have a losing streak of 16 but the Spurs are on a winning streak of 7, and it would be an almighty upset if the form guide was to change after this match. Saturday saw the 76ers set a new record for the worst start in the history of the franchise. The 110-113 loss to Dallas left the 76ers with a poorer record than the 1972/73 squad, a squad that went on to set the worst ever NBA record in a 82 game season, coming in with a 9-73 standing. The poorest ever start stands at 0-18, something which the 76ers would move beyond if they lost this game to the Spurs and to Minnesota on Wednesday and to Oklahoma City Thunder on Friday night. This is shaping up to be a massive week for the Philadelphia team. 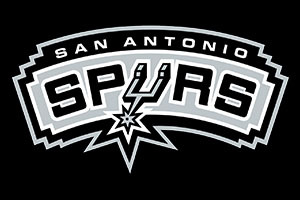 San Antonio are on a great run of form and a convincing 111-89 win against the Celtics on Sunday was achieved with ease. Gregg Popovich was back on the touchlines and Danny Green grabbed 18 points. Green was ably assisted by Boris Diaw, Tim Duncan, Aron Baynes and Kawhi Leonard who all reached double figures in the game. The Spurs have no significant injuries in this game while the 76ers are concerned about Tony Wroten and Jerami Grant. This match really should be a straightforward game but if you fancy the 76ers to at least make it a close run thing, taking them with a handicap of +13.5 at odds of 1.90 may be of benefit. Their last four losses have all been within this amount, so they may be able to stay close to the Spurs until at least late on in the game. Bet Now! The Nuggets come into this game with a 8-8 record, sitting with a 3-5 record away from home, while the Utah Jazz have a 5-2 record, which includes a 3-5 record at home. The Nuggets won their previous game while the Jazz have lost their last 5 games. While Denver’s record isn’t too enticing, the team started off with a 1-6 record, and have shown great form of late to get back on track. They enjoyed a massive win against the Suns on Friday, winning 122-97. All five of the started got into double figures, with Arron Affalo grabbing 22 points and JJ Hickson and Darrell Arthur both contributed double figures from the bench. The Jazz have no significant injuries for this game but the Nuggets are likely to be without Javale McGee and Danilo Gallinari and Darrell Arthur are being monitored on a daily basis. 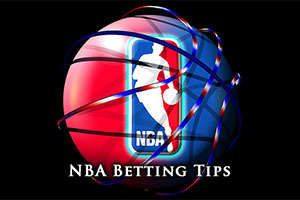 It may well be a close one, both teams will be desperate not to lose this game but with odds of 1.90 for a handicap of -2.5, the Nuggets are likely to be a sensible bet for anyone looking to have some fun at the start of the week. Bet Now! Both teams come into this game with a positive record. The Heat hold a 9-7 record, with a 5-2 record away from home while Washington holds a 10-5 record, with a 6-2 record at home. Both teams won their last game and have a streak of one, but obviously that will come to an end for one team on Monday. The Heat grabbed a narrow win against the Knicks on Sunday night and the Wizards had a close win at home against the Pelicans on Saturday. It is fair to say that both teams should be coming in with confidence, but perhaps not too much confidence. With respect to injuries Dwyane Wade is a big doubt for the Heat while Nene Hilario is likely to be out for the Wizards. The two teams met in October in their season opener, a 107-95 home win in Miami, and the Heat went on to take a 3-0 standing before losing 5 of their next 7 games. Chris Bosh was in great form in that game, with 26 points, and he will be keen to do the damage against the Wizards once again. The nature of the spread means that any one of these two teams can provide you with value but taking the Heat with a slight positive handicap is likely to be of benefit. Bet Now!